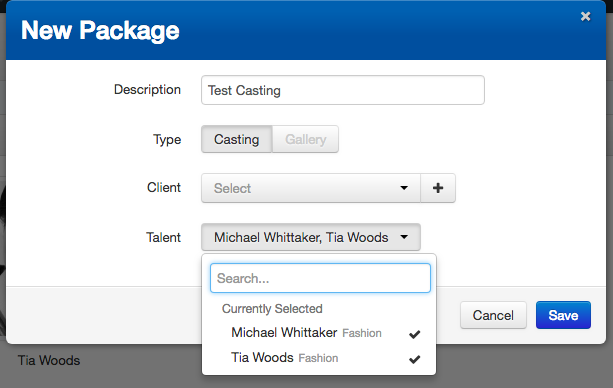 You can add Talent when you are first creating a New Package by clicking on the Search Talent drop down and searching for Talent by name. Click on the talent name and a tick will appear next to their name to show that they have been added to the package. 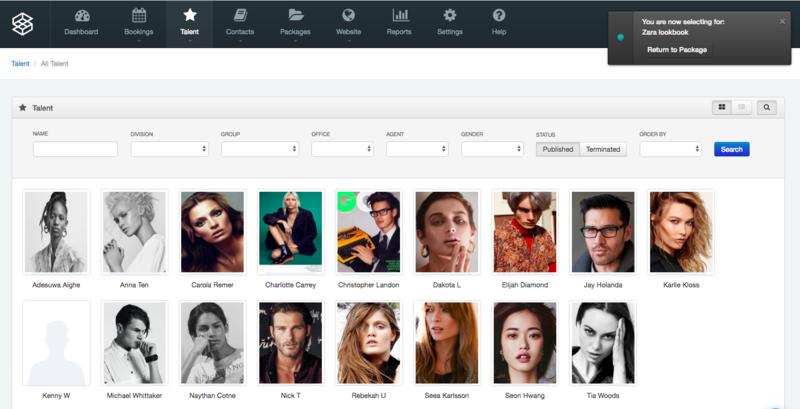 Once you have Saved the Package details in the pop up window, adding (more) Talent is easy! Add Talent in the Add Talent mode by clicking on the drop down arrow on the far right of the package. to the top right of the screen will show that you are in Selection Mode. Once you click on the talent you wish to select, a blue outline will appear around their headshot to show that they are selected for the package (to deselect click on the headshot and they blue ouline will dissappear). 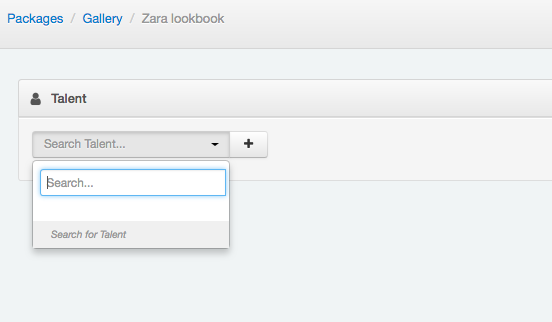 To return to the package, click on the Return to Package in the top right Selection Mode box. 2. 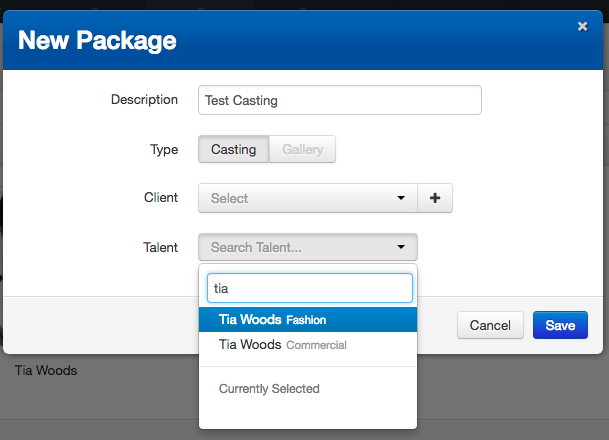 The second way to select talent, is by name and using the Search Talent drop down on the left of the page. Once you have selected the talent you are after, click on the plus sign next to their name to add them to the package.